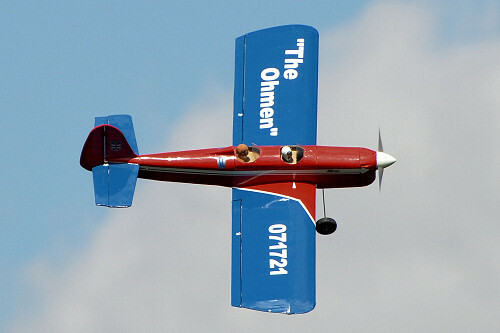 Hi George, Well my "The Ohmen" is complete and test flown. Very successful it is too! 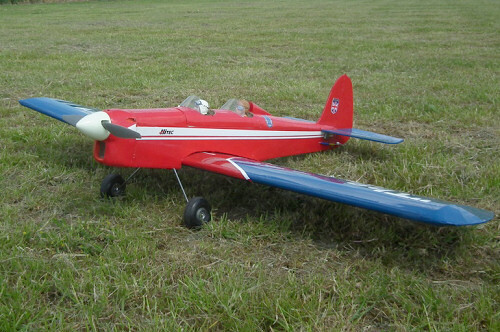 Fully aerobatic of course and refuses to bite with instant recovery from any spins on releasing the controls. Span 47", weight 2 lbs 10 oz so nearly 6 ounces under estimated weight. PO-3541-1070 motor. 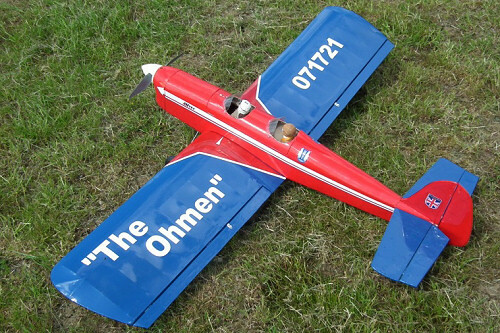 10 X 5 prop, 3 cell 2200 MaH battery and only needs 1/2 to 3/4 power for any aerobatics. My Deacon is also happily floating round in thermals.